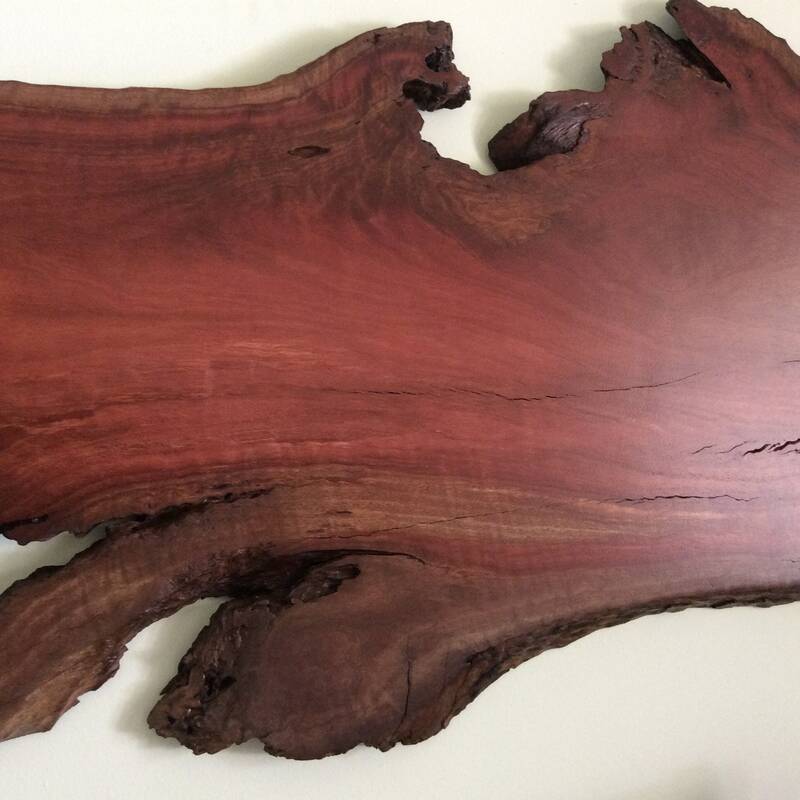 This Flame jarrah piece is awash with beautiful feature, colour and tone. 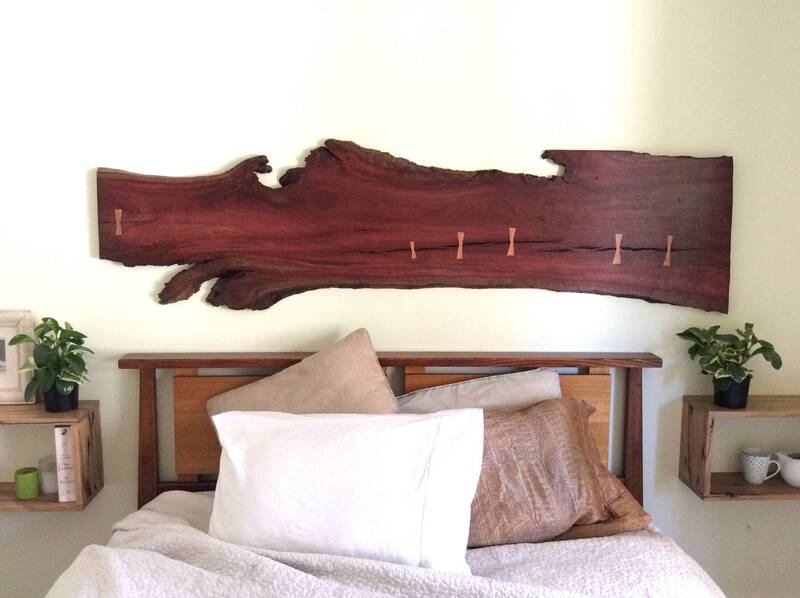 It feels like a living landscape on the wall. 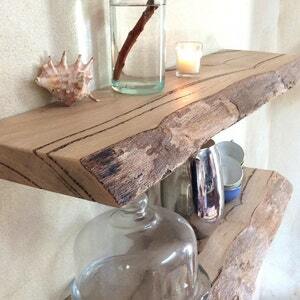 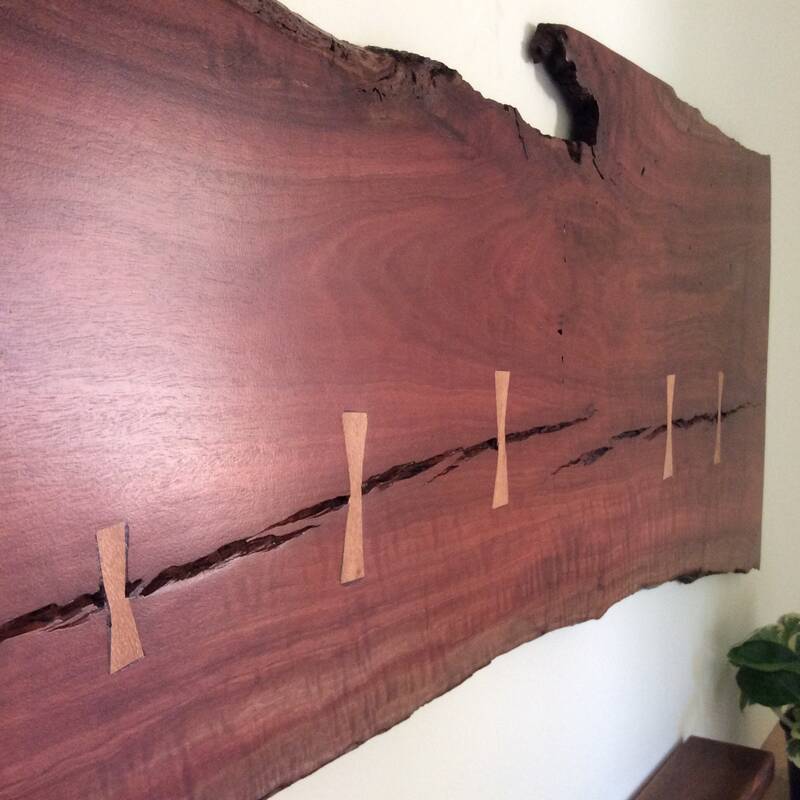 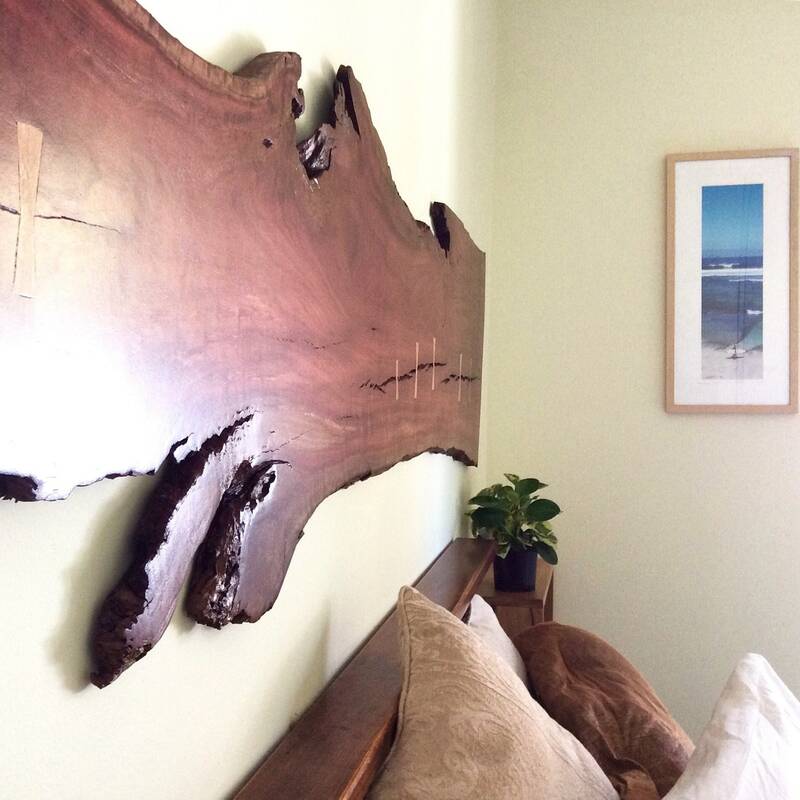 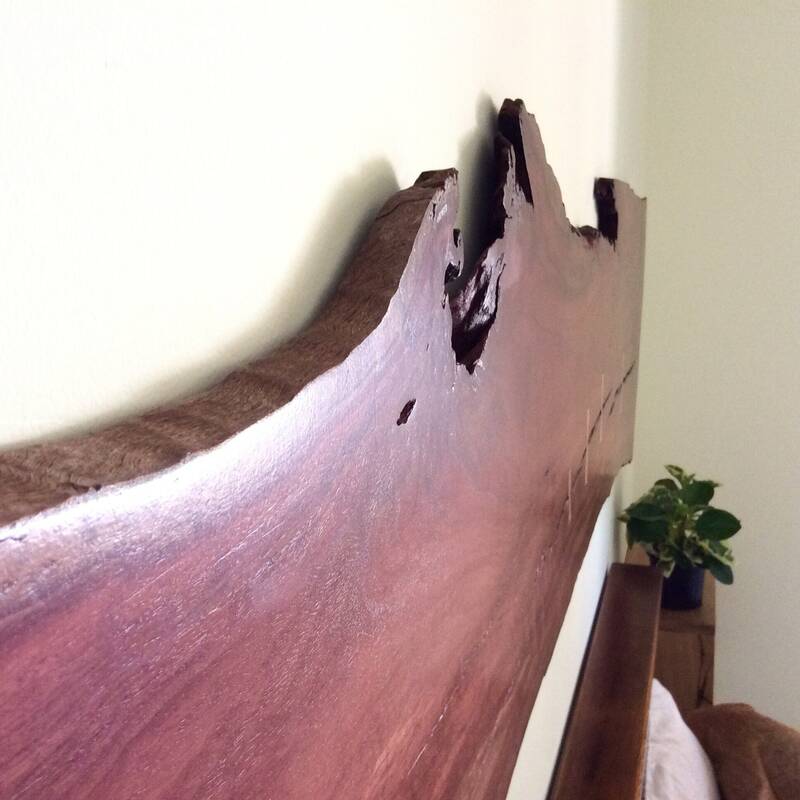 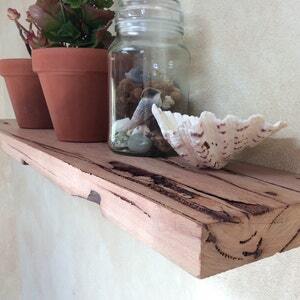 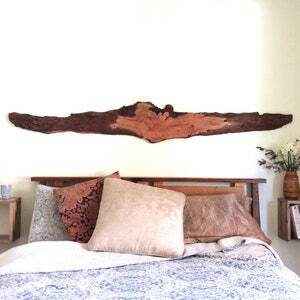 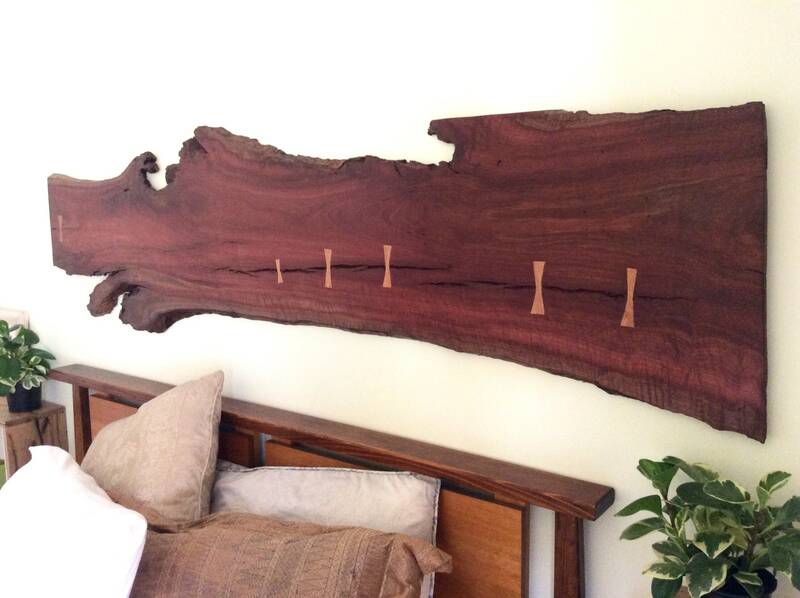 This one of a kind piece is made from West Australian Jarrah. 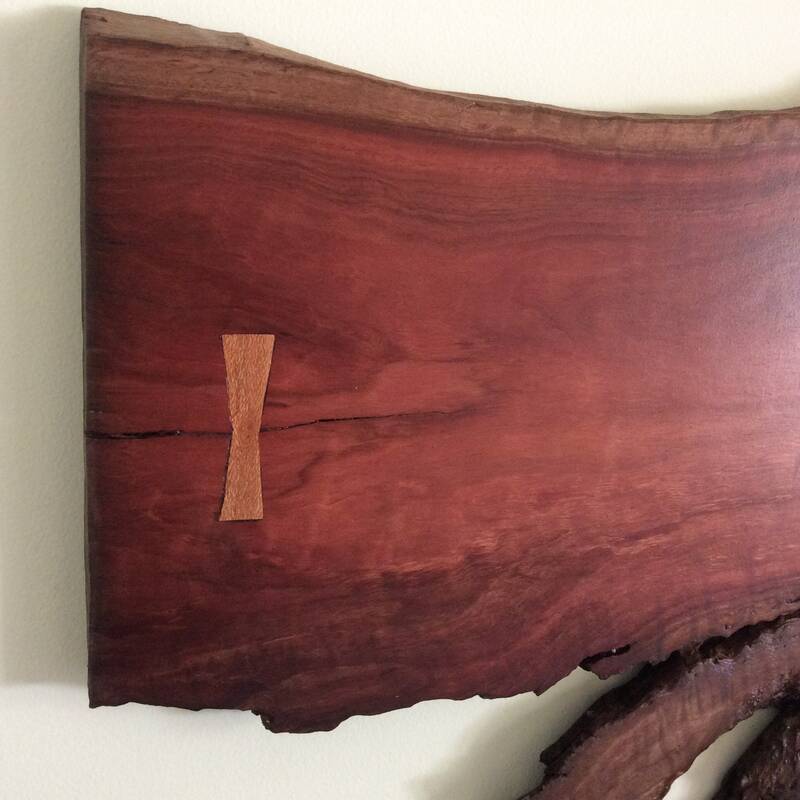 I have inlayed 6 hand cut Silky Oak bow ties. 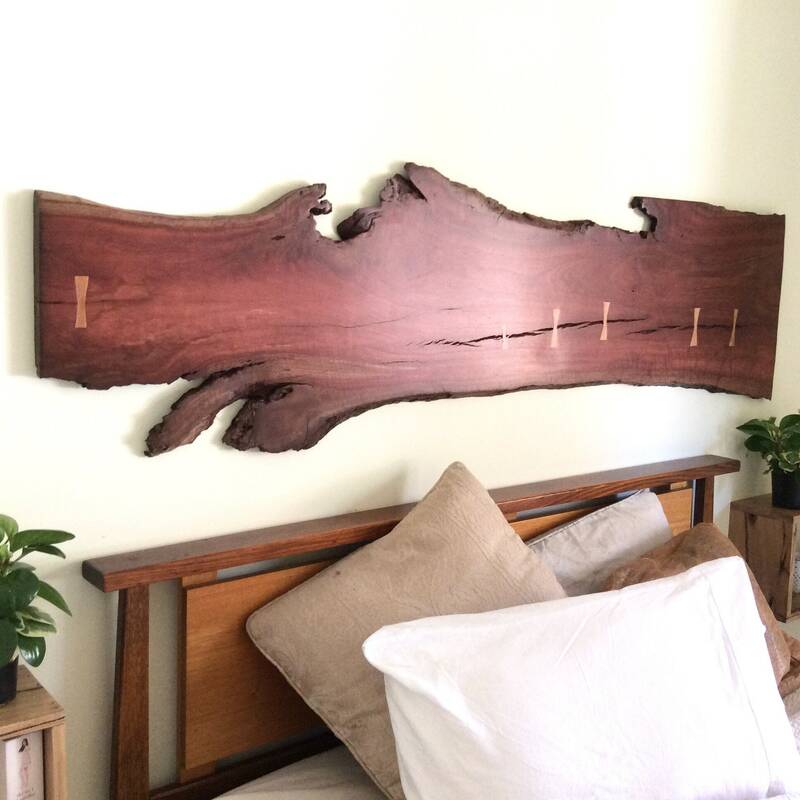 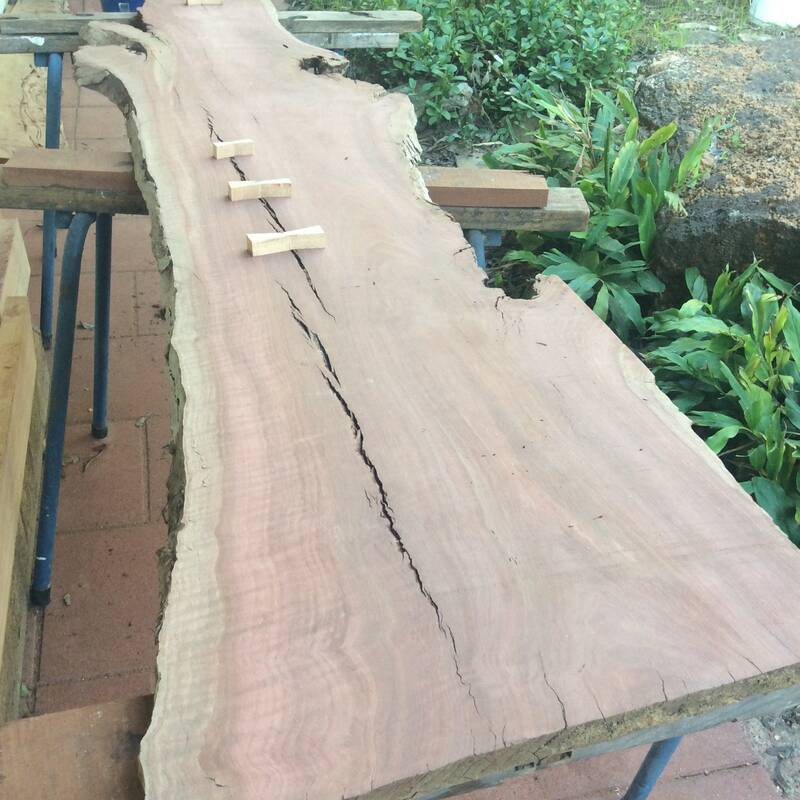 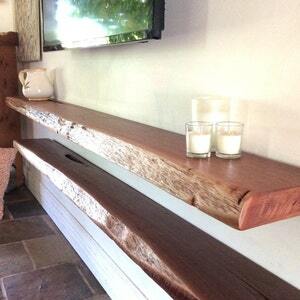 Measuring 198cm across, this stunning stretch of timber would be suitable as a bed head or a centrepiece in the lounge room. 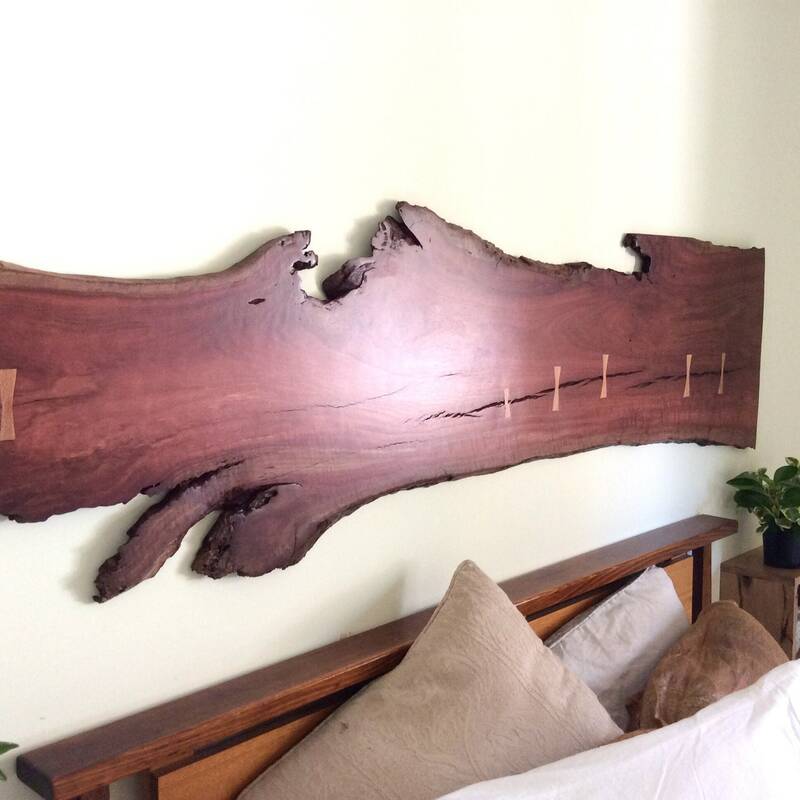 If you have any questions regarding this piece, please message me and I'll be happy to advise.